Politics was a topic that dominated much of 2016, with the race for the U.S. presidency gripping the nation and ultimately setting the stage for tremendous change in the energy sector. It's no surprise then that both outgoing President Barack Obama, who set the regulatory agenda that has influenced the course of the industry over his eight years in the White House, and incoming President-elect Donald Trump, who has vowed to undo that agenda, made S&P Global Market Intelligence's list of the most influential people in the U.S. energy sector in 2016. Many of the other energy influencers on the list were also involved in the political process in one way or another, because they are politicians themselves, they tried to influence regulatory or legislative decision-making, or they are trying to guide companies through various rules and laws. Below is the list of the 10 most influential people in the U.S. energy industry in 2016, selected by S&P Global Market Intelligence's editorial staff. Under the leadership of Gerry Anderson, DTE Energy Co. has remained undeterred in its plans to retire 10 coal-fired power plants by 2030 and focus its attention on lower-emitting fuels. The Michigan Public Service Commission has warned of a possible shortage of capacity in Lower Michigan as early as 2017, according to a July analysis, but despite that, the company has remained committed to moving away from coal. Subsidiary DTE Electric Co., which supplies power to 2.1 million customers in southeastern Michigan, plans to retire about 3,100 MW of coal capacity between 2015 and 2030 and replace that capacity with a mix of natural gas and renewables. DTE Electric has scheduled 2,125 MW to be retired by 2023 followed by another 1,000 MW by 2030. After these retirements, only a quarter of the company's portfolio is expected to come from coal power, down from about 55% in 2015. To preserve reliability in Michigan, DTE Electric plans to invest $3 billion in new natural gas and renewable capacity over the next 10 to 15 years to replace retiring coal generation, Anderson said at a fall industry conference. The company expects to add a new natural gas combined-cycle plant, possibly between 1,000 MW and 1,500 MW in size, in the early 2020s. In addition, DTE Electric plans to build another 150 MW of wind by 2018 on top of the 100 MW of wind and solar it added in 2016. Along with these planned additions the company in recent years has acquired other facilities, including a gas-fired power plant in Michigan. To ensure a ready supply of natural gas, DTE has partnered with Spectra Energy Corp. on the NEXUS Gas Transmission system, a roughly 255-mile pipeline that will run from eastern Ohio, delivering gas from the Marcellus and Utica shale regions to southeastern Michigan and the Dawn hub in Ontario. DTE's electric and gas distribution utilities will take 10% of the NEXUS line's total capacity for their own future needs. DTE also holds significant ownership stakes in the Millennium Pipeline in New York and the Vector Pipeline, which runs from west of Chicago to the Dawn hub. The guy who stood down pipeline billionaire Kelcy Warren, the state of North Dakota and the U.S. Army Corps of Engineers is in energy himself. 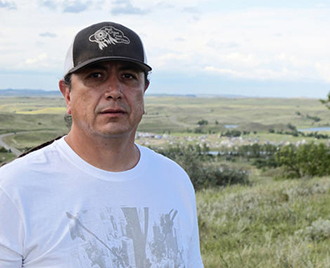 Chairman of the Standing Rock Sioux Dave Archambault II's day job is owner of the Cannonball Pit Stop convenience store and gas station on North Dakota Highway 1806, just outside Cannonball, N.D. In addition to halting progress on Warren-controlled Energy Transfer Partners LP's $3.7 billion Dakota Access Pipeline, Archambault's appeals for support drew thousands of veterans, environmentalists and Native Americans to campsites above and below the Cannonball River to protest the construction of Dakota Access and ignited a deep discussion about land out West: Indian land, treaty land, sacred land, private land and public land. Which is which? And who owes what to whom? The final piece in ETP's 1,170-mile puzzle is a river crossing just north of the Standing Rock reservation, or, if you are a Standing Rock Sioux, smack dab in the middle of ancestral lands illegally taken in violation of treaties with the U.S. in the late 19th century. It was Archambault who connected Native American Indian resentment against the U.S. Army, be it the 7th Cavalry or the Corps of Engineers, for taking tribal lands to concerns about desecration of sacred lands, to water safety with a new pipeline (paralleling an older natural gas line) crossing the river that is the reservation's primary source of drinking water while using the momentum of the green movement's "keep it in the ground" campaign against fossil fuels to provide celebrities and protestors. Archambault seems an unlikely candidate to instigate a rewrite of how developers will deal with Native American nations going forward. In a meandering letter for his 2013 campaign for tribal chair, he cheerfully owns up to dropping out of college on his first try ("bombing out at Bismarck State College my second year, I came home") to drive school buses. He completed a business degree later at North Dakota State University and obtained a master's degree in management from the Benedictine Sisters' University of Mary in Bismarck. He and his wife, Nicole Thunder Hawk, then bought the Pit Stop with a tribal loan. Arrested once himself in a September protest against ETP's construction crews, Archambault has had to juggle the demands, tempers and impatience of thousands of Native American and non-Native protestors against increasingly testy North Dakota state and local police and Energy Transfer security contractors while lawyers shepherded the tribe's case for a tougher environmental review and increased consultation through courtrooms in Washington, D.C. He succeeded. Despite a court decision permitting Energy Transfer to continue work, the Corps and two other federal agencies pulled back their approvals, including any approval of the essential river crossing easement (an easement ETP didn't obtain before starting to build the line, expecting its routine approval when it would be needed) and said they would further consult with the Sioux. Archambault put Native Americans back on the map. Future developers will need to read their history books carefully to identify sacred lands off the reservation, as well as be more sensitive to the legal boundaries of Native American reservations. America and Kelcy Warren may have forgotten it was General George Custer who first broke the Fort Laramie Treaty establishing the Great Sioux Nation in 1874 to start the Black Hills gold rush. Archambault and the Standing Rock Sioux haven't. New York Gov. Andrew Cuomo in 2016 continued to exert a strong if sometimes contradictory hand on the state's energy markets. Cuomo started off the year with in his State of the State address, expanding New York's renewable energy mandate to 50% by 2030 while simultaneously cutting greenhouse gas emissions by 40% from 1990 levels. He also announced the closure of the state's three remaining coal plants by 2020. Cuomo's mandate for utilities to procure half of their electricity from renewables was approved by the state Public Service Commission in August as part of the clean energy standard that established a renewable energy credit program to finance both new and existing projects. In support of Cuomo's policies, state agencies also approved a 10-year, $5 billion clean energy fund and are crafting a blueprint to develop up to 39,000 MW of offshore wind power along the coast. Perhaps most notable among Cuomo's energy policies this year is the $7.6 billion subsidy for three upstate and economically struggling nuclear plants that was passed as part of the clean energy standard. Approval of the 12-year subsidy had the immediate impact of facilitating the $110 million sale of Entergy Corp.'s James A. FitzPatrick nuclear plant to Exelon Corp., thus preventing the plant's slated closure in early 2017. The subsidy's zero-emissions credit payments, which are based on the U.S. EPA's social cost of carbon, have been hailed as a model to keep America's aging nuclear fleet online in an era of lower electricity prices fueled by cheap natural gas. Already, Illinois has followed suit in passing its own nuclear subsidy to prevent the early retirement of two uneconomic plants. However, Cuomo is dead set against Entergy's relicensing application of its Indian Point 2 and 3 reactors over alleged safety concerns for nearby New York City. In a November decision, the New York State Court of Appeals ruled in favor of the Cuomo administration that the nuclear plant's relicensing is subject to state review. 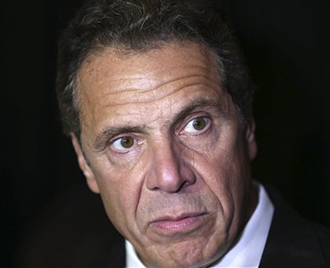 Cuomo's transformation of the state's energy sector does not put a priority on natural gas. In December 2014, he banned hydraulic fracturing in the state. In April, the state Department of Environmental Conservation denied a Clean Water Act permit required to build the FERC-approved Constitution Pipeline Co. LLC natural gas project that would bring 650,000-Dth/d from northeastern Pennsylvania. Montana Public Service Commission Vice Chairman Travis Kavulla devoted much of his year as president of the National Association of Regulatory Utility Commissioners, a term which concluded in November, to pressing state regulators to grapple head-on with the questions around integration and compensation for distributed energy resources. Kavulla initiated and oversaw the development of a manual that aims to serve as a guide for regulators faced with making decisions regarding rate design and compensation for generation assets like rooftop solar panels. In doing so, Kavulla sent a signal to regulators urging them to be proactive participants in what is arguably the biggest issue facing electric utilities in North America, and emphasizing the role of regulators in looking out for the public interest while utilities and solar companies duke it out in complicated and often politically divisive rate disputes across the nation. Beyond just rooftop solar, the manual addresses wind, energy storage, demand response and electric vehicles, among other technologies altering the energy landscape. The process was not always easy: NARUC sought feedback outside of traditional stakeholders on the manual but in August, Kavulla was forced to respond to complaints by several major solar companies that the drafting of the manual suffered from a lack of transparency that could threaten its legitimacy. NARUC's board of directors approved the manual in November. Still in his twenties when first elected to the Montana PSC in 2010, Kavulla was among the youngest utility regulators in the country, and now in his second term remains an unabashed conservative who has been outspoken in his criticisms of the Clean Power Plan. But Kavulla is also thoughtful about how free-market advocates should apply their values to the monopoly utility system. At an October forum hosted by Greentech Media, Kavulla reportedly described electric utilities as "a monopoly industry laden with perverse incentives to over-invest in capital on the part of the utility. I'm very skeptical of the type of corporate behavior that results from a cost-of-service regulatory monopoly." He added, "The Republican message from a utility regulatory standpoint has become confused about its core principles, which should commit to retail choice and opening up these markets to the degree possible." The rate design manual represents a legacy of Kavulla's leadership of NARUC in 2016, but he will likely impact the electric utility industry in other ways for years to come. Robert Murray, founder and CEO, Murray Energy Corp.
Robert Murray, founder and CEO of Murray Energy Corp., the largest privately owned coal producer in the U.S., continued to lead the push back against federal rules affecting the energy sector this year and emerged as one of the industry's most vocal supporters of Republican presidential candidate and now President-elect Donald Trump. Included on our 2015 list of the most influential people in energy for his leadership in the legal challenge aimed at overturning the Obama administration's environmental regulations, Murray earned a return to the list for his continued opposition to regulations in court and his fierce support of Trump throughout a turbulent and unexpected presidential campaign. This year saw Murray continue his fight against the U.S. EPA's Clean Power Plan and the U.S. Office of Surface Mining Reclamation and Enforcement's Stream Protection Rule, which Murray called the "single greatest threat" to coal workers in his nearly 60 years in mining. In October, Murray also won a court victory against the EPA resulting in an order for the agency to craft a plan and schedule to comply with rules that require a tally of effects of its regulations on the U.S. coal industry. 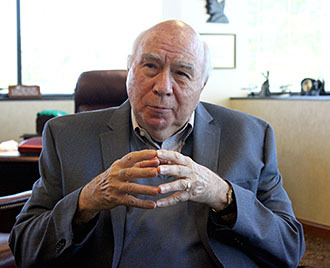 The year also saw Murray put his weight behind Trump as the Republican candidate pledged support for the beleaguered industry, promising to "put miners back to work." While initially a supporter of former Florida Gov. Jeb Bush early in the contentious Republican campaign, Murray made up for his early choice with vocal support for Trump. Beyond that vocal support, the Murray Energy political action committee donated $100,000 to Trump's campaign. "What I have learned is that Mr. Trump will surround himself with the very best people to run our country," Murray said on the day the contribution was paid out. "With his courage, intelligence, caring and passion, Donald Trump will be the best president of our lifetimes." While Murray would later say that he cautioned Trump against promising too much when it came to a full industry and labor recovery, the CEO never backed away. Ultimately, Murray's gamble paid off, clearing the way to brush aside the "bloated, overgrown bureaucracy in Washington," starting with what he expects will be cuts to the EPA, U.S. Department of Labor and the U.S. Mine Safety and Health Administration. 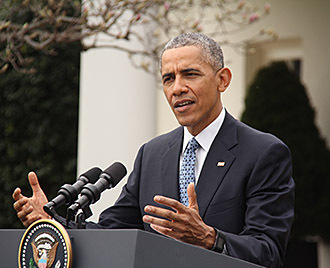 The last year of Barack Obama's presidency will be capped off with his executive agencies working overtime to finish key components of his climate change agenda and other initiatives. 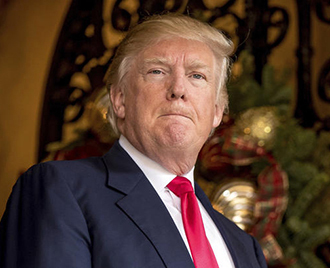 Among the priorities were draft model trading rules for the Clean Power Plan, though those will not be completed, and finishing up methane regulations for existing sources in the oil and gas sector, although the latter will likely not be completed until well after Inauguration Day on Jan. 20, 2017. Obama will leave office having overseen a massive shift toward clean energy. Critics don't necessarily agree on whether he has been wholly influential in those efforts or not, as industry has moved away from coal-fired generation mostly in favor of cheaper natural gas and renewables. But the president stayed out of the way as the shale gas revolution saw production soar. His focus on climate change undoubtedly forced the issue to the forefront and spurred debate over the science behind the phenomenon in the halls of Congress. Obama also funded research into renewable generation technologies. Key rules include the EPA's Clean Power Plan, the U.S. Bureau of Land Management's recently finalized methane emissions rule and updates to various National Ambient Air Quality Standards. Secretary of State John Kerry did a victory lap of the world promoting the U.S. commitment to climate change on Obama's behalf in 2016, signing the Paris accord and attempting to allay fears as the incoming administration pledges a wholesale-reversal of those policies. Whether Obama's climate initiatives will hold up under the directive of President-elect Donald Trump remains to be seen. 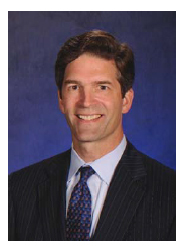 Homer Parkhill, managing director, Rothschild Inc.
At its zenith, SunEdison Inc. sought to unite its upstream manufacturing business with an expansive global renewable energy development operation, from which investors in the company's TerraForm Power Inc. and TerraForm Global Inc. yieldcos were positioned to be the main beneficiaries. Instead, the company filed for Chapter 11 bankruptcy in April, and with it, those aspirations and every asset in between, became the heart of a restructuring effort administered in part by SunEdison's financial adviser Rothschild and a team led by Managing Director Homer Parkhill. 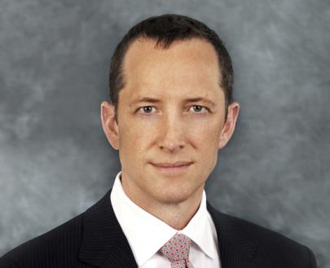 Parkhill, working alongside counsel at Skadden, Arps, Slate, Meagher & Flom LLP and the restructuring team at McKinsey, assumed the role of chief peacemaker and broker of confidence in the SunEdison financial edifice at a time when such beliefs among creditors and investors were scarce, if not nonexistent. With the company and its assets tentatively stabilized, Parkhill moved quickly to begin soliciting parties interested in buying SunEdison assets while directing his team to maintain a transparent and credible sale process on assets ranging from the global module business to portfolios of contracted renewable projects and assets across the U.S., Latin America, Africa and Asia.Beyond frayed relationships, the bankruptcy process was more immediately challenged by a deepening liquidity crisis; one in which the value of SunEdison's various businesses and assets were liable to dissolve before the process got off the ground. Under pressure, the Rothschild team secured $300 million in debtor in possession financing to stabilize the company, allowing litigants across the table to exhale and move forward. Early stages of the sale process, however, attracted more shrewd buyers equipped with tender offers and looking to play the role of a financial anchor to SunEdison, or its affiliated yieldcos, in some capacity, before the competitive processes found resolution. To this, Parkhill exercised discretion in adhering to a structured, competitive auction process, trusting his team to evaluate bids on the merits, while straddling the conflicting interests of the debtors, unsecured creditors and advisers to SunEdison's yieldco affiliates TerraForm Power and TerraForm Global. In doing so, Parkhill's team brought credible buyers into the fold, including subsidiaries of Blackstone Group LP, NRG Energy Inc., Edison International and Chinese materials conglomerate GCL Poly-Energy, a nod to diverse set of strategic and financial buyers Parkhill had in mind for the SunEdison divestiture. Negotiations between SunEdison advisers, led in part by Parkhill, and advisers to unsecured creditors and TerraForm management teams around how SunEdison will divest its equity holdings in the yieldcos are ongoing. But an expected resolution, due in second quarter of 2017, is likely to be consistent with the transparency demonstrated by Parkhill's team, and one that recognizes competition for SunEdison's legacy holdings will deliver a fair price. 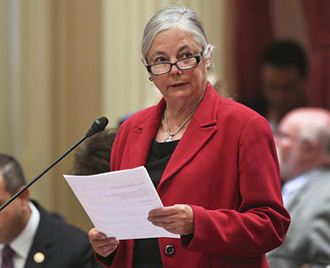 Fran Pavley, a state senator in California, in 2016 pushed the envelope in gas safety and renewable energy, putting her state on the leading edge of issues that affect the nation on the whole. Pavley has influenced the national discussion on underground natural gas storage since the multimonth leak at the Aliso Canyon field near Los Angeles illuminated the patchwork nature of the country's storage oversight. The leak was entirely unprecedented. Over nearly four months, the Southern California Gas Co. facility released about 109,000 tonnes of methane, a potent greenhouse gas, forcing thousands of local residents to relocate. With the nation watching California's response, Pavley introduced legislation addressing gas storage concerns. S.B. 887, signed into law in September, puts a major focus on risk transparency and may set a precedent for upcoming broader regulations. The law sets the stage for stricter well standards for storage, leak reporting obligations and requirements for risk management, among other things. State regulators are also expected to do random inspections regularly and to set up air quality monitoring. At Aliso Canyon, Pavley in a separate bill said gas injections would be limited to a specific central part of the well. If this becomes a model for other guidelines, it could impact the rate at which gas can be injected into storage. These types of issues are under the U.S. Pipeline and Hazardous Materials Safety Administration's purview, but the agency has never issued any rules for the nation's roughly 4.7 Tcf of working gas underground storage capacity. PHMSA is now working toward filling in the gaps. Pavley also sponsored major legislation that set California's target for reducing greenhouse gas emissions to 40% below 1990 levels by 2030. The measure set into law Gov. Jerry Brown's 2015 executive order setting that target. Her S.B. 32 in 2016 extended the state's climate policies beyond the 2020 greenhouse gas emissions-reduction target set by the Global Warming Solutions Act of 2006, which was passed as A.B. 32. Pavley also authored that legislation when she was an Assembly member, setting California's course as the first state to pass greenhouse gas emissions reductions as law. The 2006 law required emissions to be reduced to 1990 levels by 2020. Pavley's most recent bill, which takes effect on Jan. 1, 2017, gave the California Air Resources Board authority in law to require mandatory reporting and reduction of greenhouse gas emissions. CARB has a broad mandate to target emissions reductions in industry, transportation, buildings, agriculture and other sources under Pavley's act. For example, the board is working on a strategy to promote zero-emission vehicles, with tools such as rebates or even replacement requirements when vehicles are sold. The board is considering carbon and fuel taxes and many other proposals to address this single largest source (84%) of carbon dioxide emissions in California. "S.B. 32 builds on Assembly Bill 32. S.B. 32 keeps us on the path toward achieving the State's 2050 objective of reducing emissions to 80% below 1990 levels," CARB said in its Dec. 2, 2016, Discussion Draft 2030 Target Scoping Plan Update. IF OPEC had its way, it would not have announced plans to cut production in early December. They would have been celebrating the demise of the American independent shale oil and gas driller, the primary target of their effort to drive prices lower over the past two years. Constantly low prices, they figured, would put the independents out of business. Instead, American resourcefulness and ingenuity, along with some painful cost cutting, won out. Fighting for their lives, independents found ways to make horizontal drilling more effective while slashing costs in the process. Break-even prices for both oil and gas shale plays have plummeted in the past 18 months. "For the last 70 years, we've been going after this dirty sandstone that used to provide wells producing 100 barrels per day," Pioneer Natural Resources Co. CEO Scott Sheffield said in September. "Now, we're going after the source rock, and we're getting wells that are producing 2,000 barrels per day." Sheffield's company is one of the independents in the best shape coming out of the oil and gas price collapse, having avoided excess debt and focusing on the unconventional windows of the prolific Permian. His explanation of what it takes for Pioneer to turn a profit in the Permian shows how much the industry has changed in a short period of time. "The Permian Basin is the future of horizontal drilling. Fifty percent of horizontal rigs are in the Permian Basin. The economics are better, and we can easily move the product to the Gulf Coast," he said. "Our break-even price, we're around $28 per barrel to $29 per barrel. Well costs are down 35%, operating costs are down 26%. We can operate these horizontal wells for $2/Boe." Drillers in dry gas plays have found ways to make money in spite of continuing low prices. Technology advances have made the Haynesville Shale, which had a break-even price of more than $4/Mcf in 2014, a target for drilling once more. "We have 18.9 Tcf available to us in 2,000 locations and a break-even price of $2.35/Mcf," Chesapeake Energy Corp. CEO Doug Lawler said. "The capital efficiency with our investment there is 10 times more productive than it was just a few years ago." Improved efficiency and tough decisions have allowed independent producers to survive a very tough trial over the past two years. It was an outcome nearly no one expected. Donald Trump's pledges during the 2016 presidential campaign to lift environmental regulations he asserted were stifling the economy and to assist the coal sector were diametrically opposed to his opponent Hillary Clinton and the Obama administration, and though he has yet to take office, his victory is already resetting the nation's energy priorities. During the campaign, Trump took his message to coal country, pledging a revival of jobs and industry, returning to the spotlight a sector Obama and Clinton were charged with leaving behind. His Cabinet nominees back up that view. Oklahoma Attorney General Scott Pruitt, nominated as U.S. EPA administrator, has sued the agency to try to block Obama's Clean Power Plan. Energy Secretary-nominee Rick Perry, a former governor of Texas, in his own presidential campaign pledged to shut down the agency he's now been selected to lead. Trump's policies are not expected to reverse the growth in renewable energy or spur a major rebound in coal consumption and employment, which are being challenged as much by competition from natural gas as government mandates. But equity and energy commodity markets have climbed in the wake of Trump's election, potentially taking heart from his deregulation pledges. One of the biggest wildcards in Trump's energy strategy is what, if anything, he will do on climate policy. Trump famously dismissed climate change as a "hoax" propagated by China and vowed to undo the Clean Power Plan, Obama's signature rule to reduce greenhouse gas emissions from power plants, as well as cancel the U.S. commitment to the Paris climate accord. But Trump appeared to soften his stance in early December. On Dec. 5, he met with climate advocate and former Vice President Al Gore on the issue, and on Dec. 11 during an interview with Fox News, Trump said he was "open-minded" about environmental regulation. Even if Trump takes some kind of action on climate, his presidency will likely bring a more relaxed regulatory environment for energy producers that could stem some of the struggles in the U.S. coal market as well as slow the expansion of wind and solar resources.